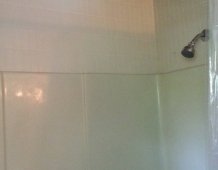 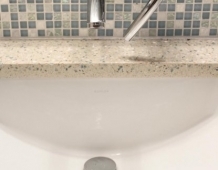 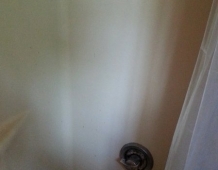 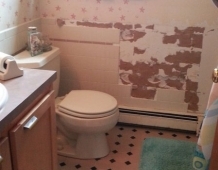 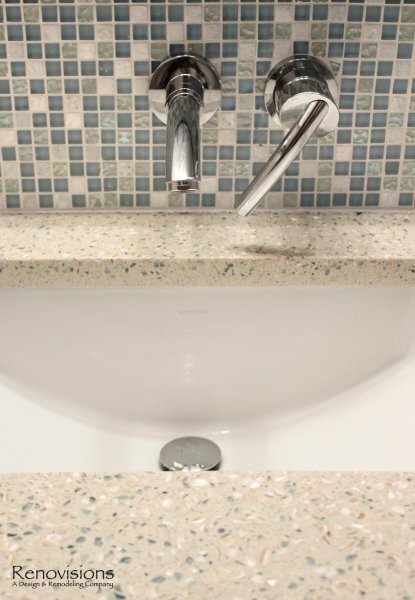 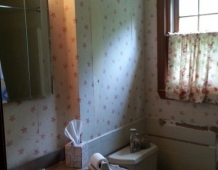 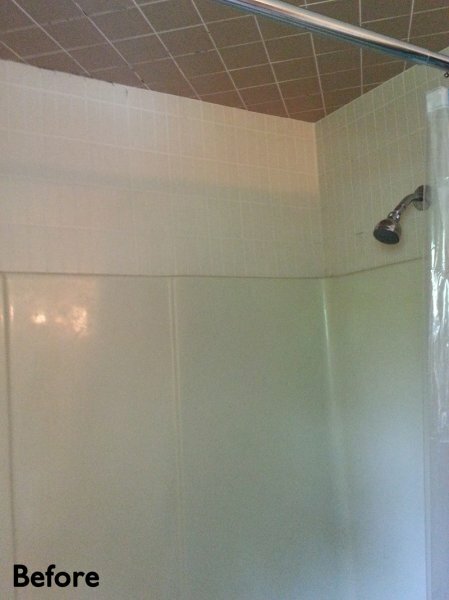 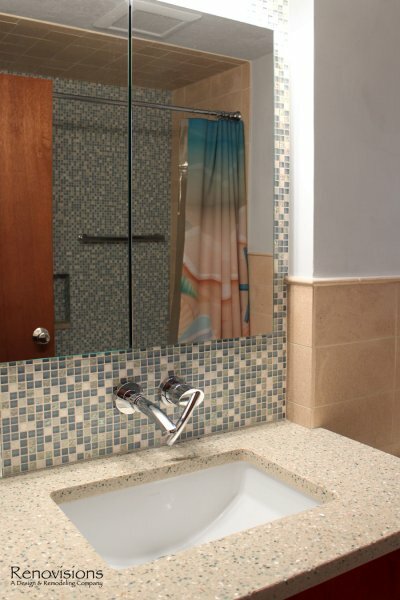 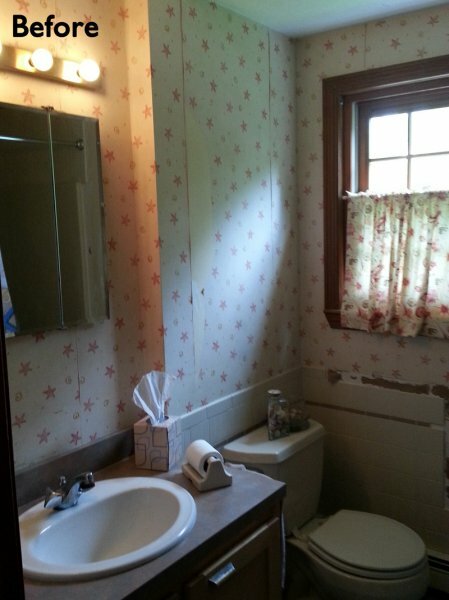 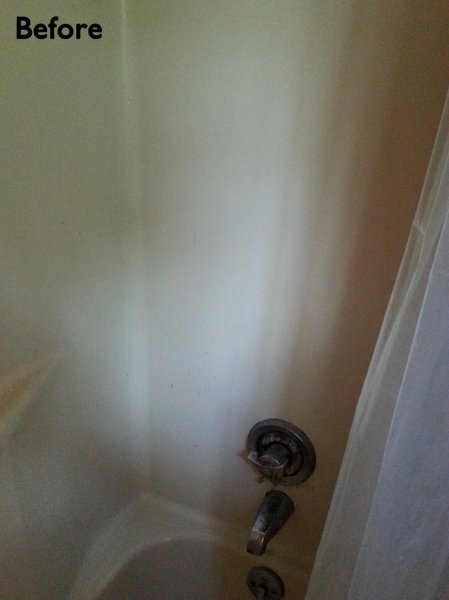 Builder-grade, tired and outdated fixtures paired with peeling wallpaper and missing tiles served as the impetus behind this homeowners desire to remodel.Careful thought and consideration went into the selection of each bath product as the client wanted a clean design with a contemporary flair. 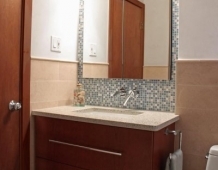 The homeowners enlisted Renovisions to take on the task and transform their bathroom into the beautiful, zen-like bathing space they envisioned. 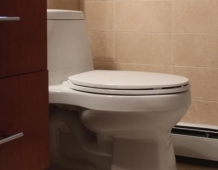 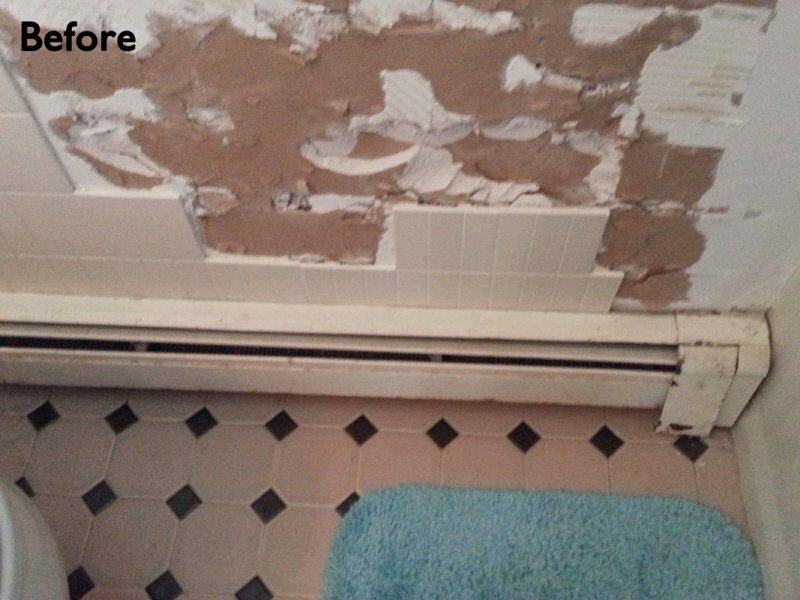 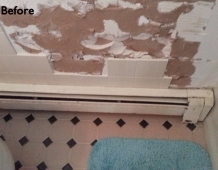 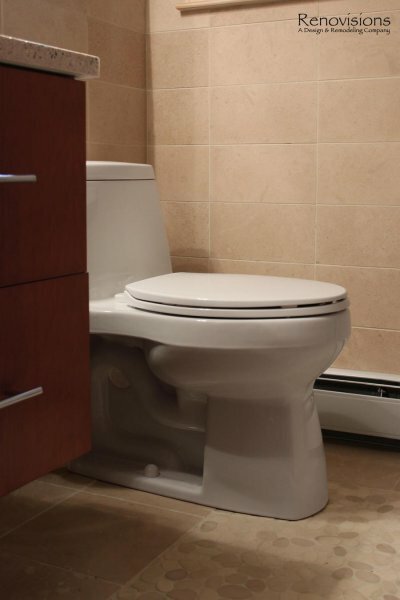 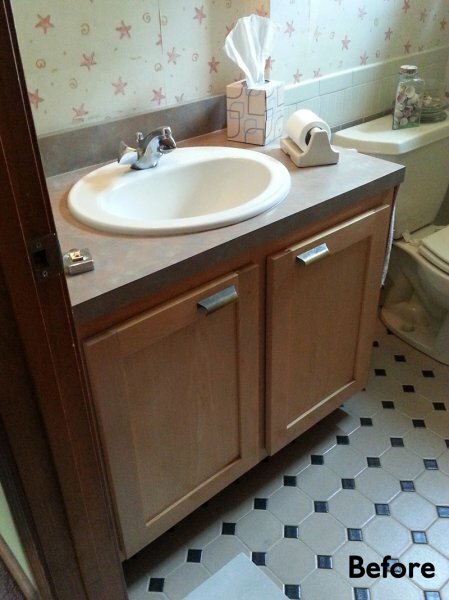 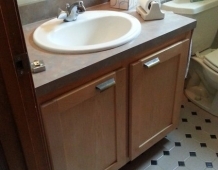 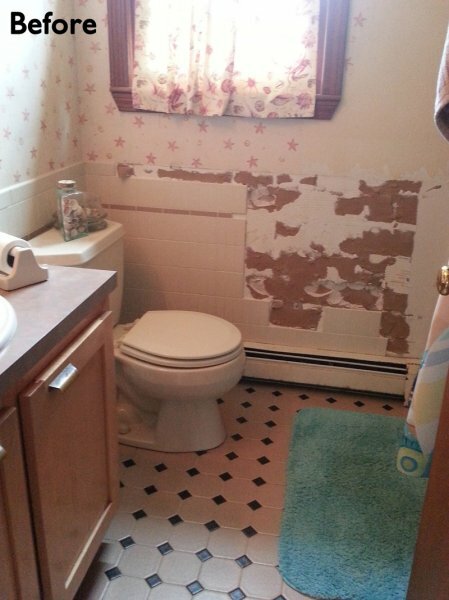 Each step of the remodeling process was completed carefully to ensure a proper facelift. 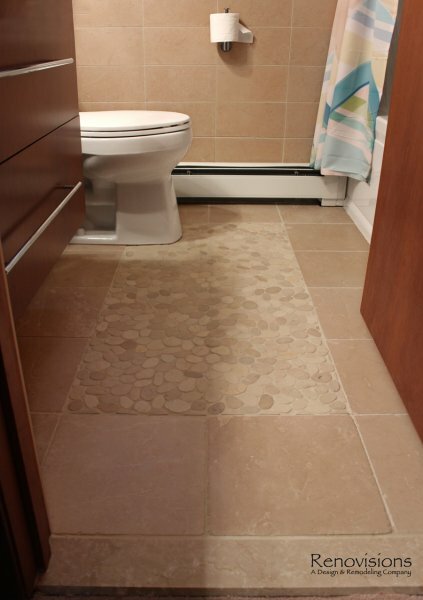 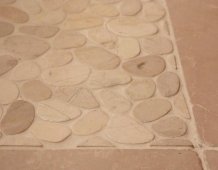 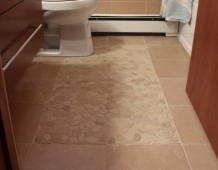 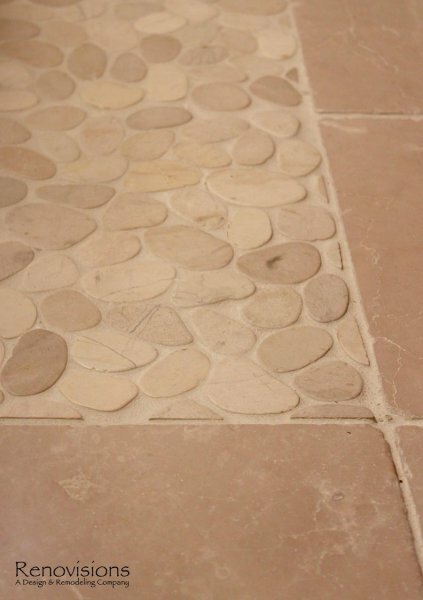 Beautiful, natural pebble tiles accented by a border of 12”x12” tan colored marble tiles set the overall feel of this new space. 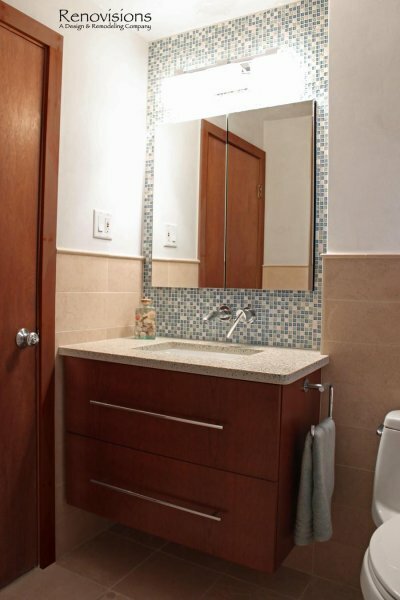 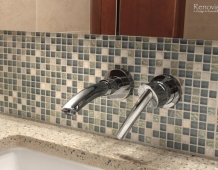 The vanity, a medium stained cherry wood contemporary styled wall-hung cabinet, and the ice stone countertop compliment the gorgeous blue-green hues of the mosaic wall tile. 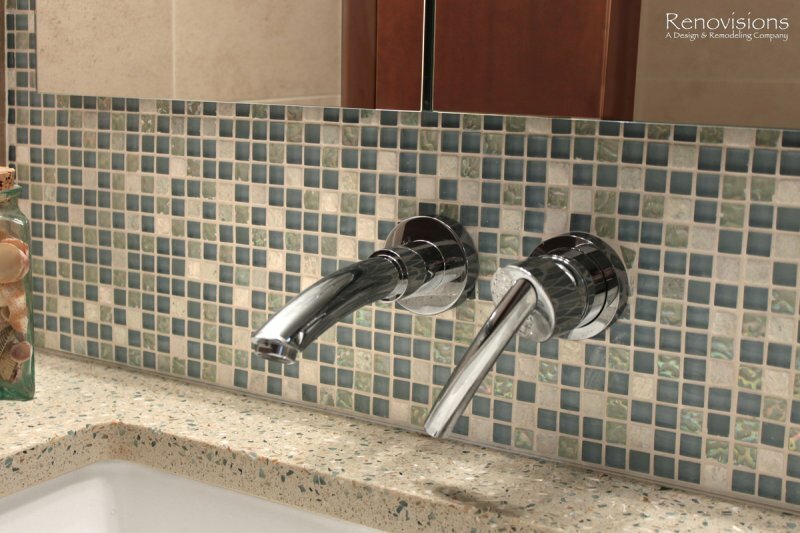 The chrome finished wall-hung faucet has the perfect design choice for the narrow yet sleek vanity. 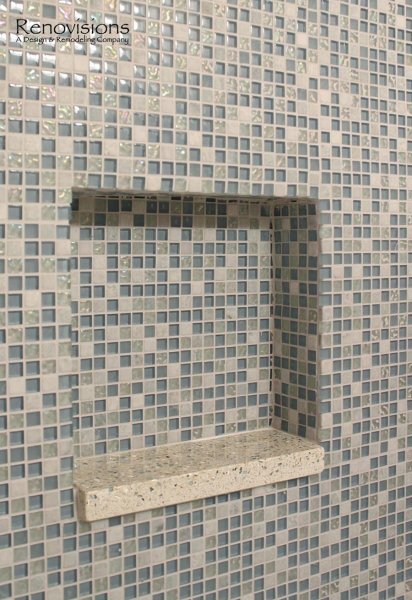 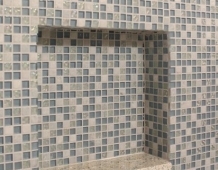 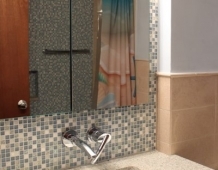 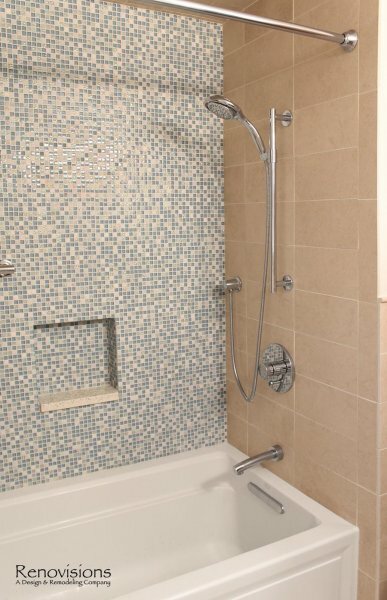 The tub/shower side walls boast stylish 6”x12” marble tiles installed in a horizontal pattern while the blue/green mosaic tiles on the back wall create a dramatic focal point in the otherwise neutral color palate. 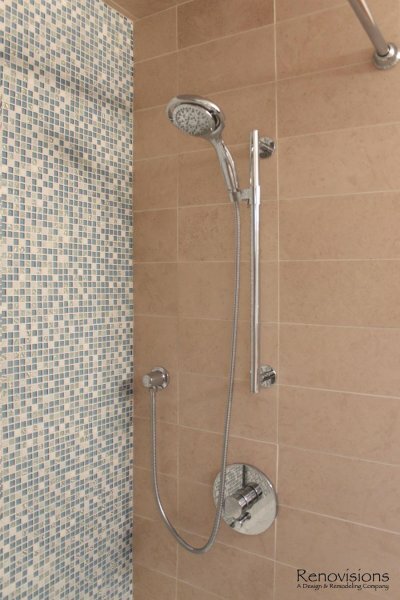 Desired amenities such as a deeper soaking tub, a custom tiled shampoo cubby, a hand-held shower head and slide bar and a decorative safety grab bar provided both the functionality and style the homeowners sought after. 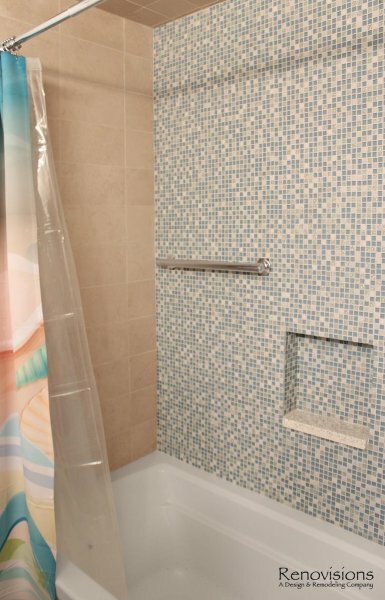 Upon completion, this full bath exudes a sophisticated and heavenly atmosphere to provide a truly “do-it-yourself” spa experience.